I don't know about you but I've become so used to seeing photobooths in supermarkets and shopping centres that, actually, I no longer see them. They're simply part of the background. For many people though, these little rooms have been the scene of countless important moments over the years and as a result hold some cherished memories. One such event is the marriage proposal. 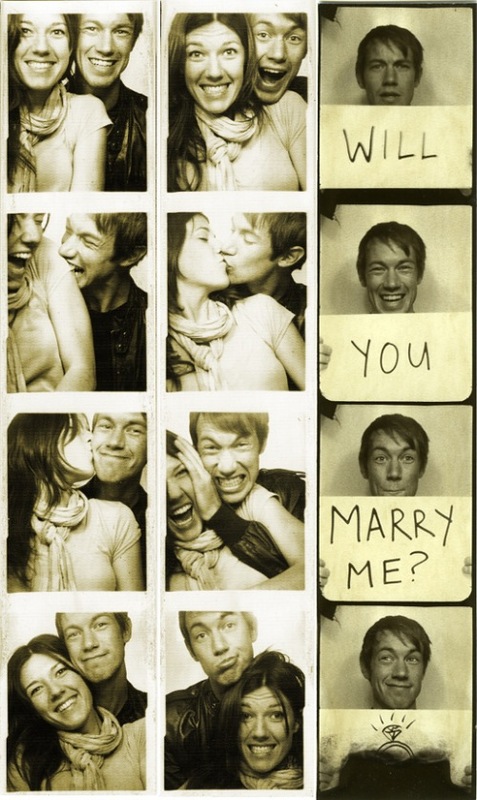 That's right – a growing number of men and women are choosing the trusty old photobooth as the perfect space in which to get down on bended knee and pop the question, and actually it's not difficult to see the appeal when faced with perfectly romantic, surprise-filled sets of photos like the ones below. 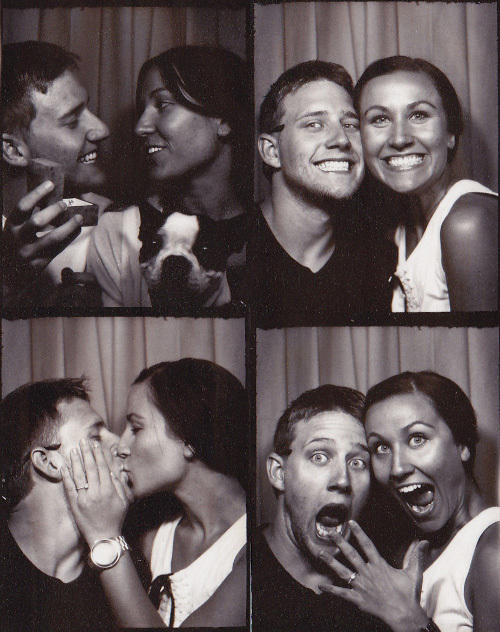 Above: In 2007, Will Norris got down on one knee in the very photobooth that marked his first date with girlfriend Elisabeth 18 months previous. As can be seen, she said yes. 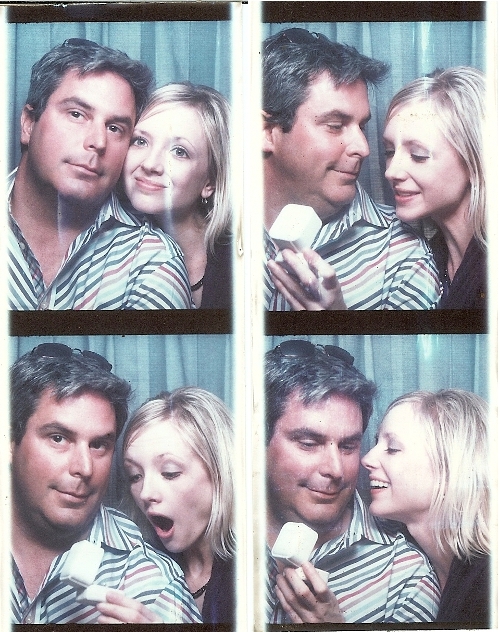 Above: Keith Gaddis decided it to be the perfect proposal spot after remembering that he and girlfriend Barabara had a thing for photobooth pictures when they first dated. More backstory at Flickr. Above: An excited Jenna Carlock reacts very positively to a surprise proposal. More important is that the dog is clearly delighted, in the first shot at least. 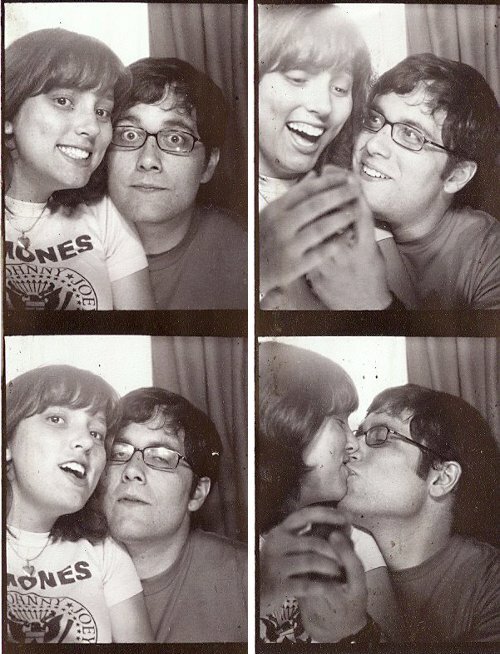 Above: A deliberately boring tour of four photobooths in 2007 ended with a surprise proposal from Michael Glasgow to his girlfriend Rhonda. It worked. Above: The lovely story of Katie and Daniel's proposal last year can be read at their website, here. 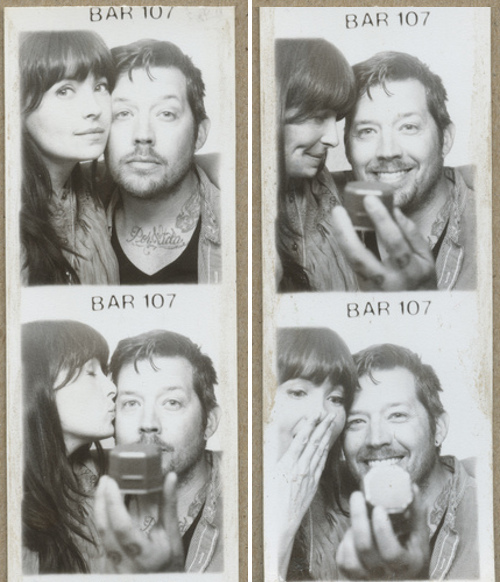 Above: David got down on one knee in a photobooth in Nashville when proposing to Ashley. A print even came out at the end that read "Will you marry me?" More here. 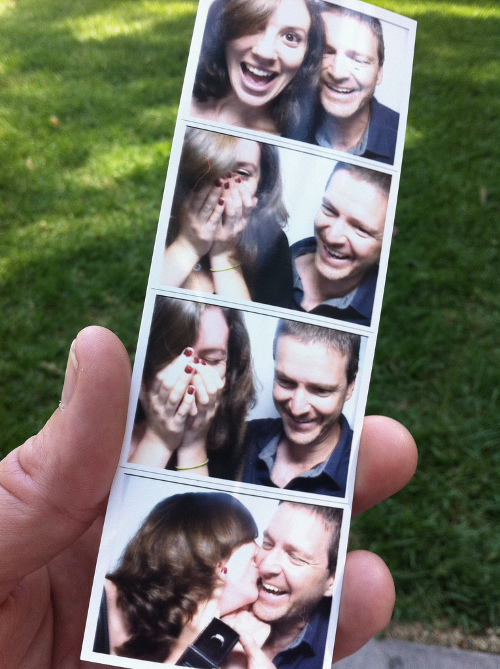 Above: A photobooth proposal in San Diego, by David Pond. Above: Says Angela of the proposal, "These are the pictures from when we got engaged. 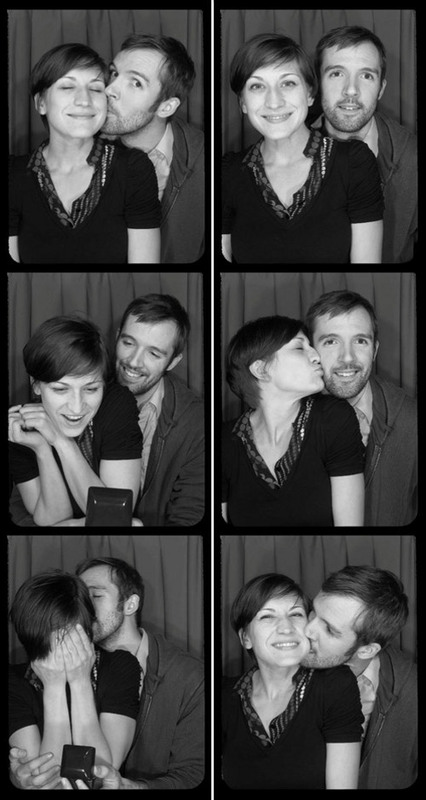 I have no idea in frames one and two and am really confused in frame three (lets never make that face again!) and really surprised in frame four." Above: A lovely moment at City Museum, Missouri. The lucky lady explains all here. 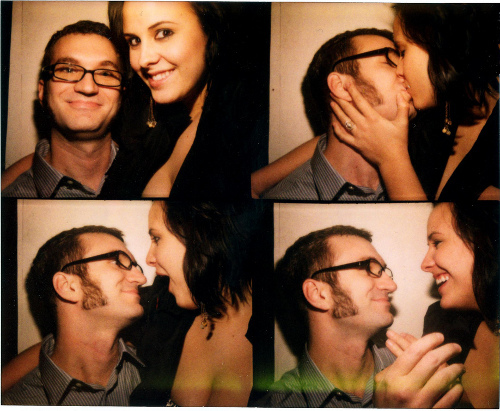 Above: After having their photos taken in a booth, boyfriend Derek handed Melody the strips on the left, along with some he had previously posed for in secret, as seen on the right. She said yes.